For a wide assortment of TASIS-branded clothing and gifts, please visit our online store. To celebrate Mrs. Fleming's centenary, TASIS published a collection of quotations from Mrs. Fleming's speeches, yearbook messages, private notes, and conversations. Edited by Lyle Rigg, former headmaster of TASIS Switzerland (1982–84, 2007–2009, and 2015–2017, and TASIS England (1984–1998 & 2009–2010), this memorial book is full of charming, witty, pithy life lessons from Mrs. Fleming. 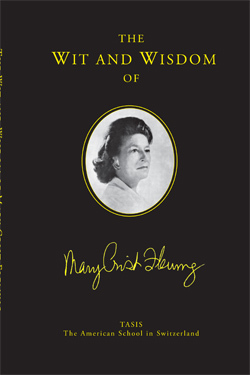 Contact alumni@tasis.ch for your copy of The Wit and Wisdom of Mary Crist Fleming for only $15 (the price includes shipping). We all have dreams, but only those with true vision persevere though challenges, learn from mishaps, and look back with humor and dignity. Growing pains and pinnacles are a part of the lives of people and of organizations, and it is amid life's tests that we show true spirit and strength. In Pursuit of Excellence was created to commemorate 50 years of TASIS Switzerland and 30 years of TASIS England. Written by students, teachers, and Mrs. Fleming herself, this beautiful and fascinating book gives a pictoral and written history of TASIS from those who lived it, in pursuit of excellence. 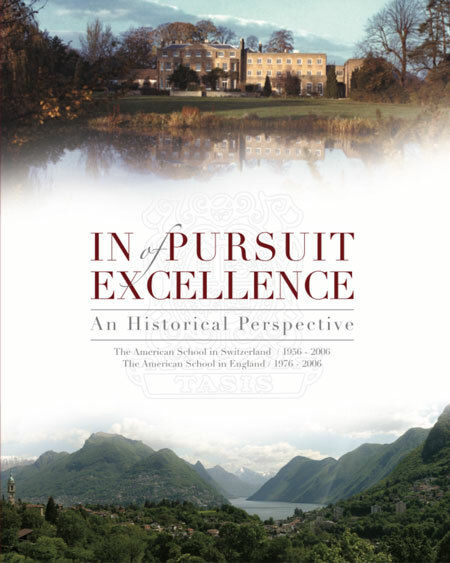 Contact alumni@tasis.ch for your copy of In Pursuit of Excellence for $65. (the price includes shipping). MCF - What a Life! It is difficult to remember when the world was smaller; when air travel was a privilege and foreigners a curiosity. Travel was for those with pluck and fortitude, for those with the gumption to see beyond narrow political and social mores. Perhaps the most poignant stories in the delightful book MCF - What a Life! are those of her time before she built the School, when she was exploring Culture, earning Wisdom, learning Knowledge, and discovering her Truth. Mrs. Fleming's writing sheds light on her story, and the story of TASIS. 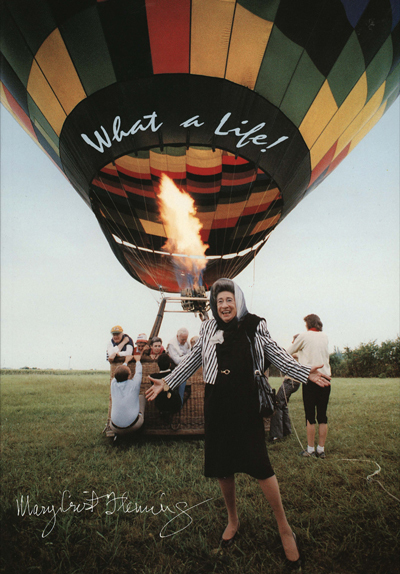 Told in her own words and in the words of those whose lives she touched, MCF - What a Life! explores nine decades of the life that brought us all together. The book is an inspirational keepsake to forever remind us of Mrs. Fleming's spirit and joy. Contact alumni@tasis.ch for your copy of MCF - What a Life! for only $35 (the price includes shipping). TASIS also offers both In Pursuit of Excellence and MCF - What a Life! for $85 postage included.